KABUL: Chinese ambassador to Afghanistan Liu Jinsong held talks with Nasir Ahmad Andisha, Afghanistan’s deputy foreign minister, where he greeted Andisha Afghan New Year and congratulated him on being appointed as the head of the Embassy and Permanent Mission of Afghanistan to the UN Office in Geneva. The ambassador thanked Andisha for his previous support of the work of the Chinese Embassy in Afghanistan and his contributions to improving China-Afghanistan relations. He also briefed Andisha on the Government Work Report delivered by Premier Li Keqiang to the second session of the 13th National People’s Congress as well as what Chinese State Councilor and Foreign Minister Wang Yi said to the press on the sidelines of the session, the Chinese embassy in Afghanistan said in a tweet message. 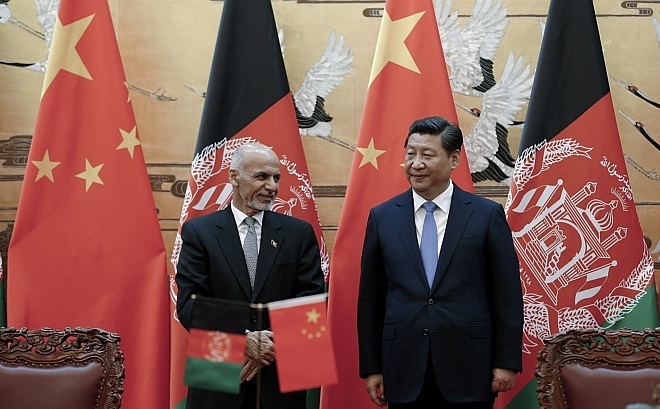 Liu stressed that China and Afghanistan are both developing nations at the forefront of counter-terrorism and advocating interconnectedness and free trade, which heralds a promising prospect for bilateral cooperation on the BRI.